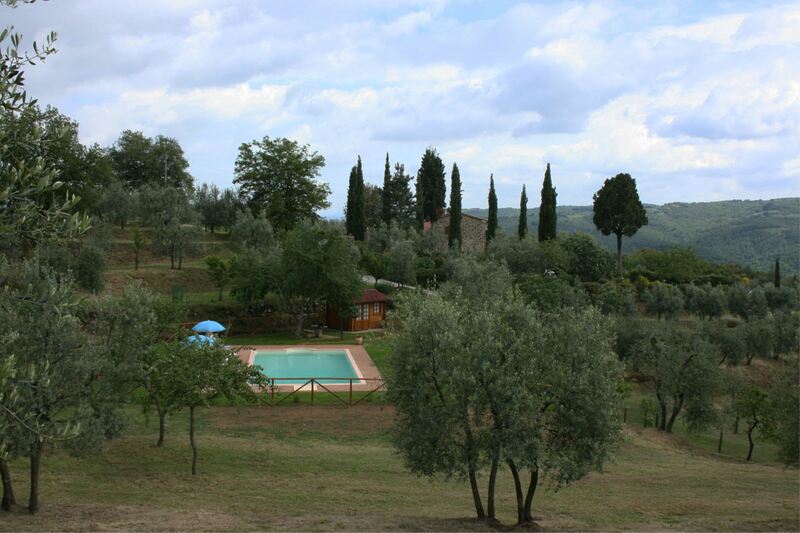 Hill and panoramic position. 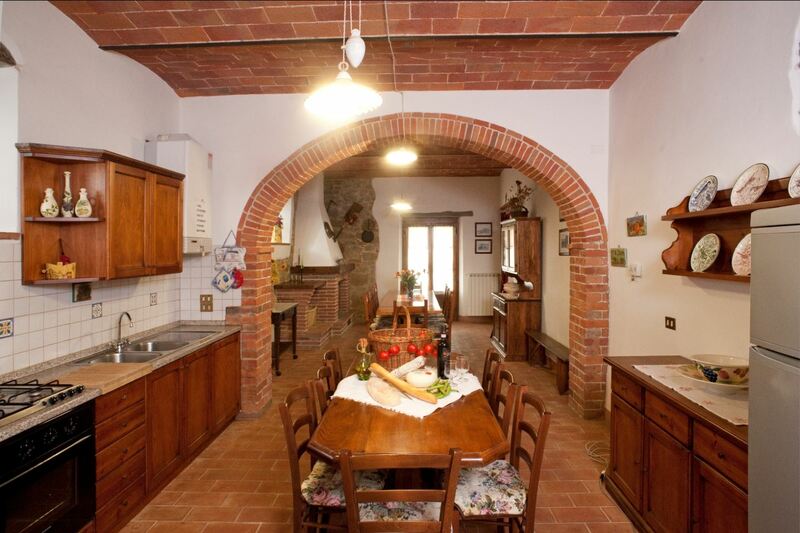 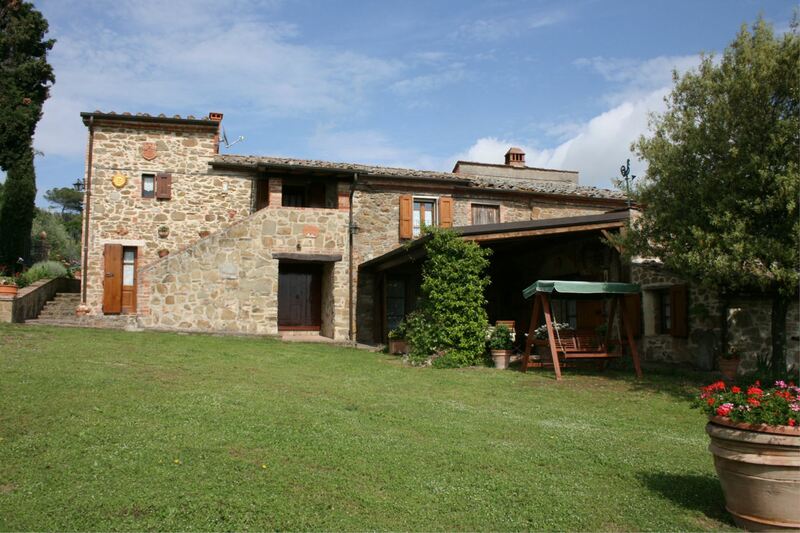 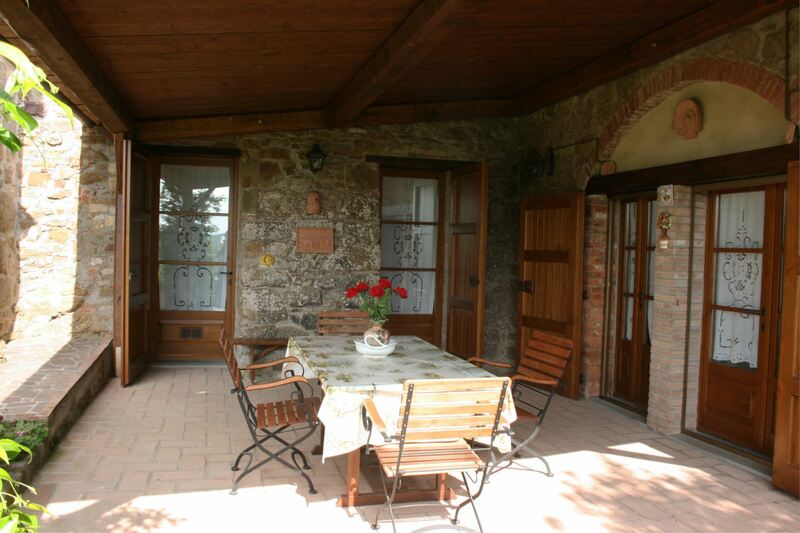 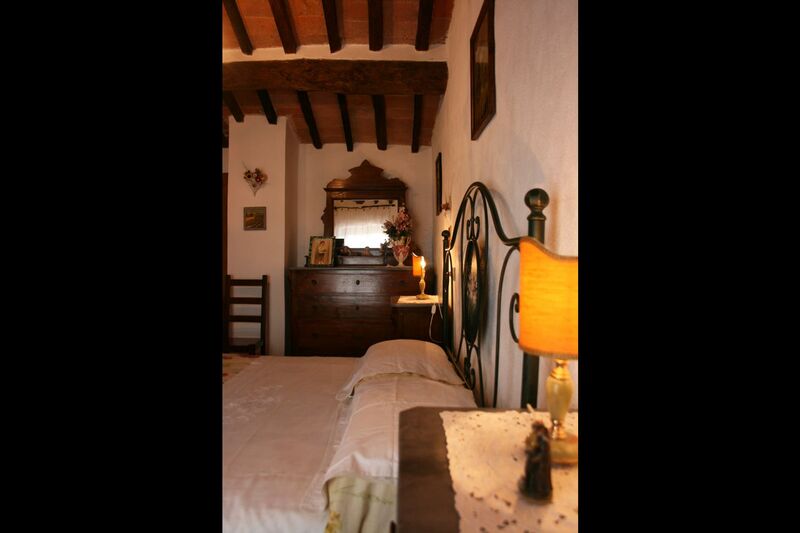 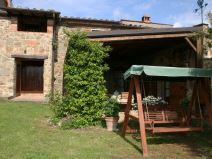 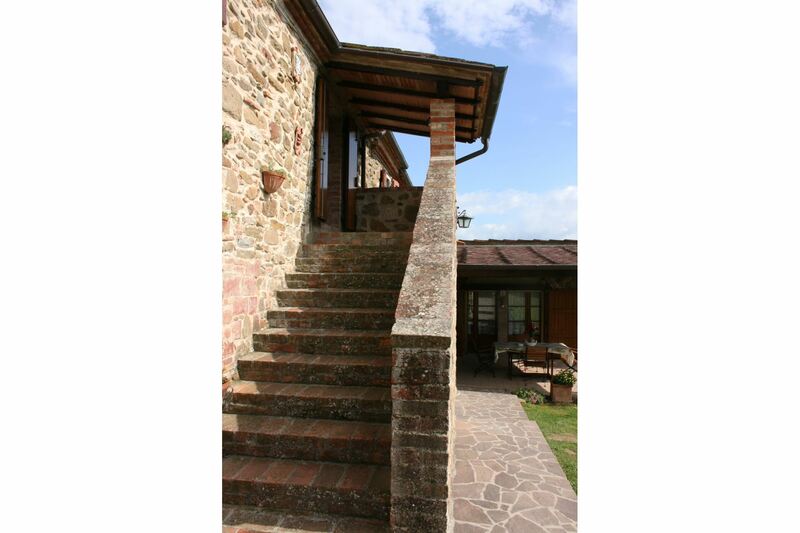 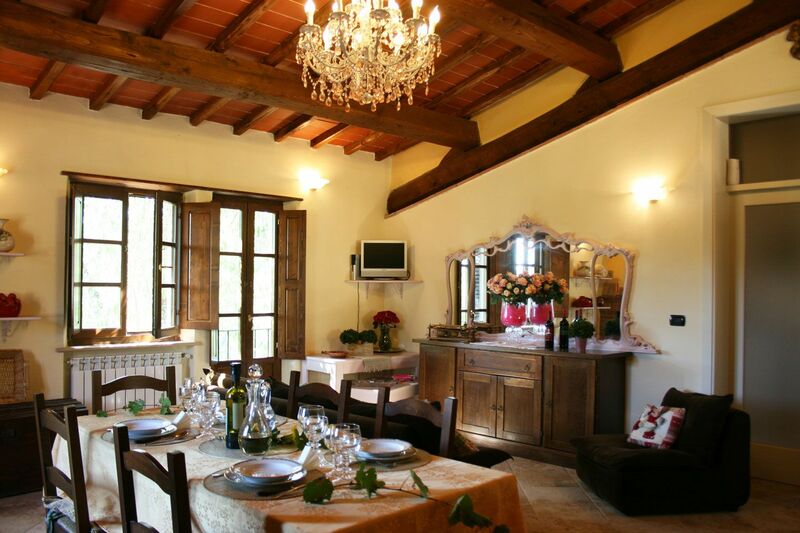 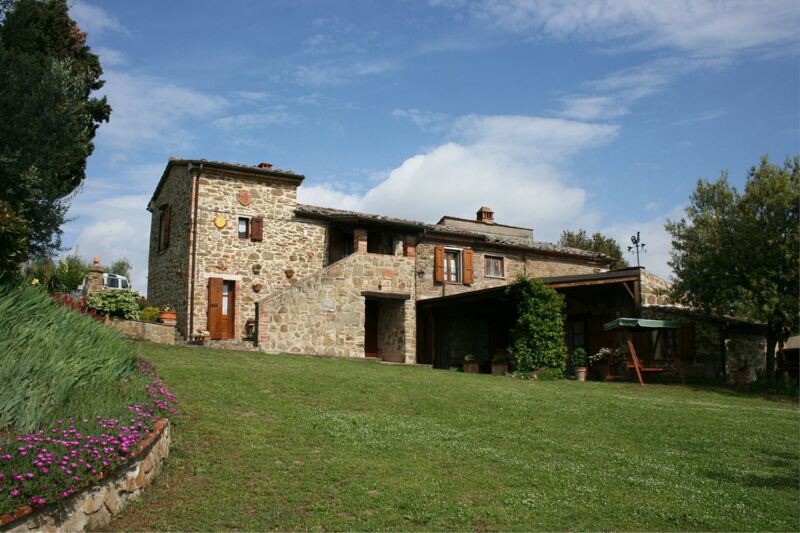 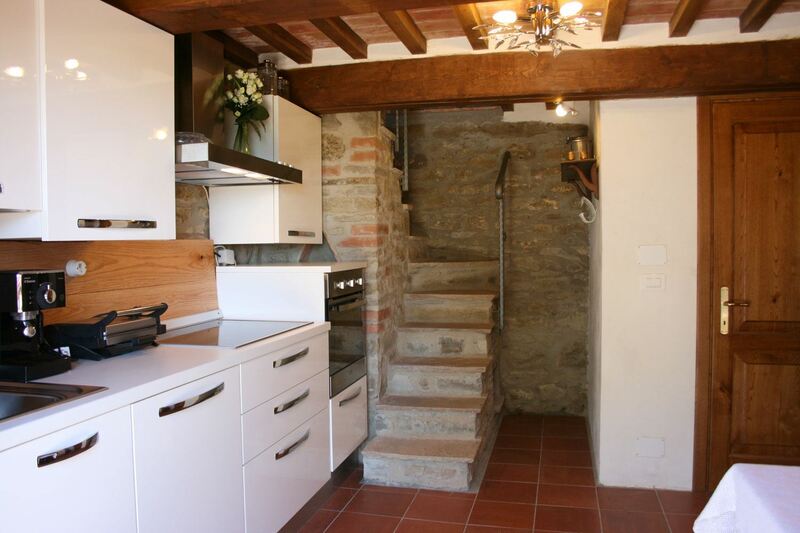 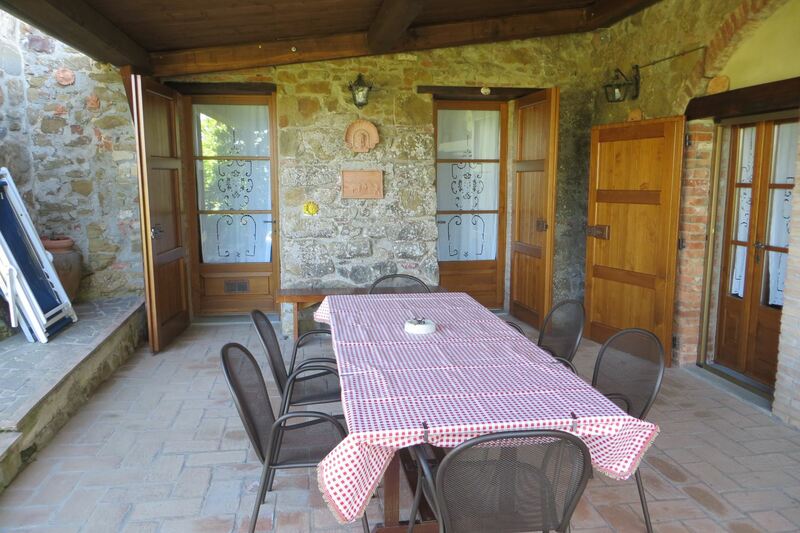 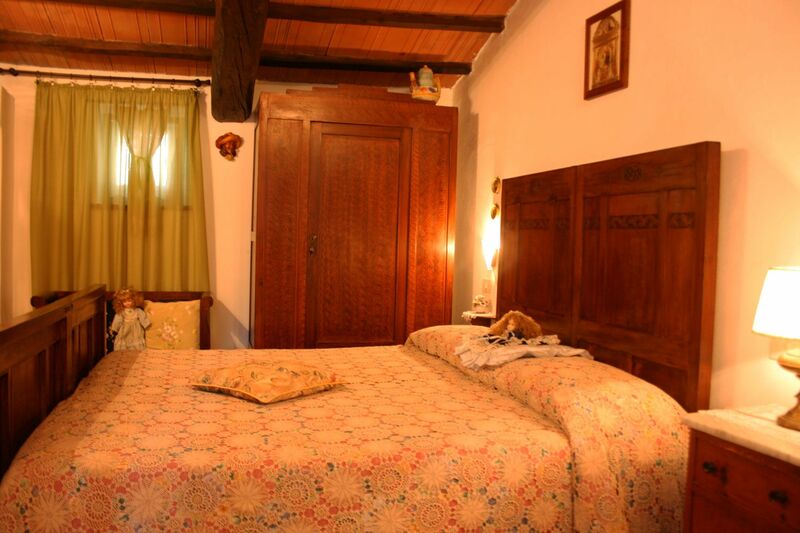 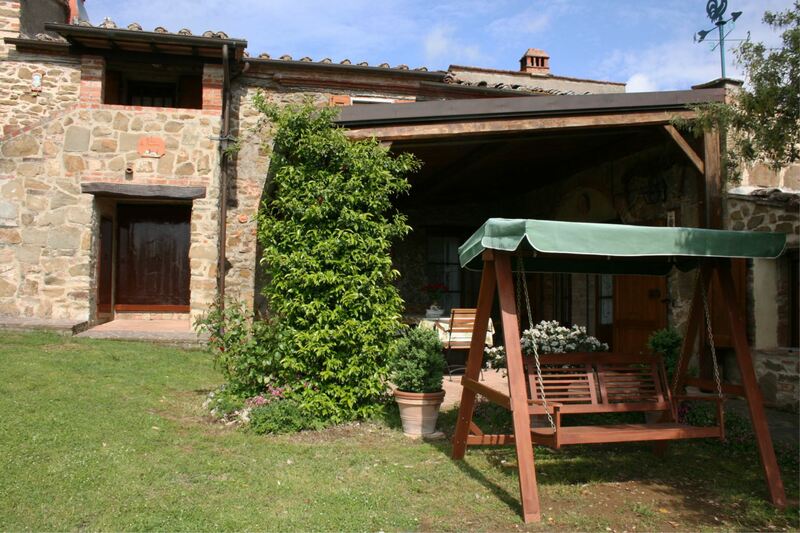 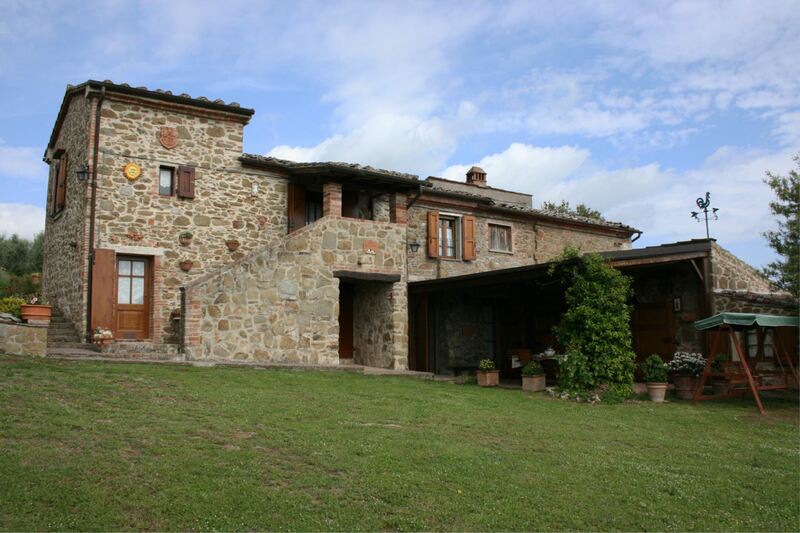 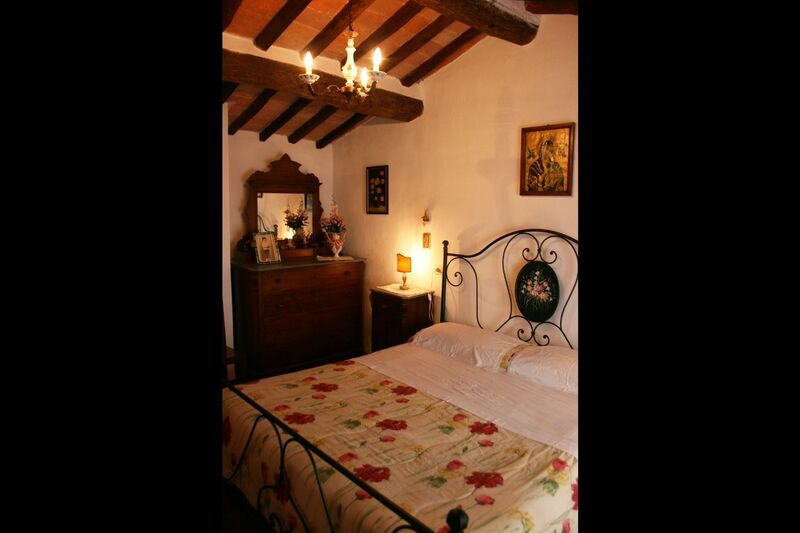 Part of an old farmhouse set on a hill overlooking the charming medieval village of Rigomagno and a large part of the Chiana Valley. 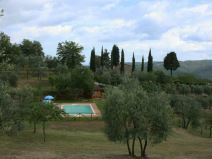 In this area the hills are mostly covered with the silver-green foliage of olive trees, interspersed now and then with a small vineyard or lush oak woods. 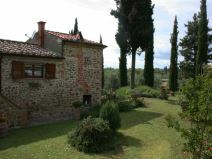 Old, beautifully placed cottages emerge from the vegetation adding the last touch to this natural landscape of rare beauty. 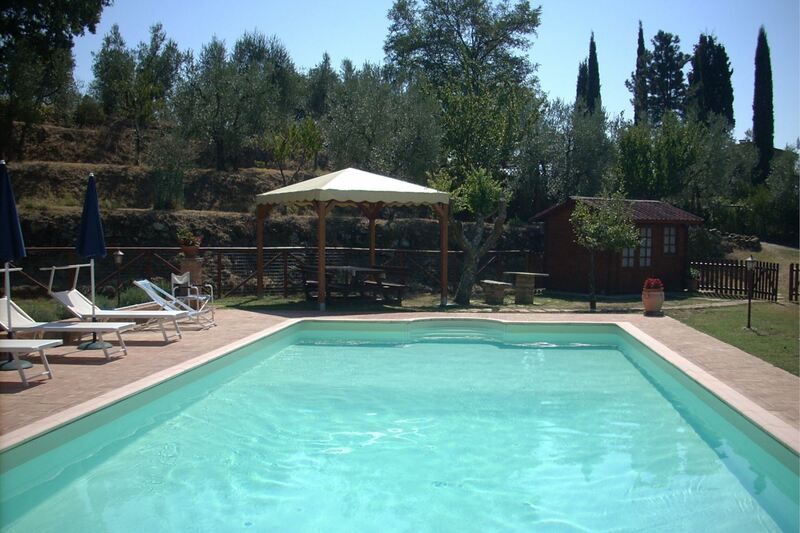 Swimming pool among silver olive trees. 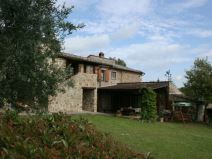 The house is at the edge of a large, carefully tended olive grove that gently descends the natural terraces towards the woody gully below. 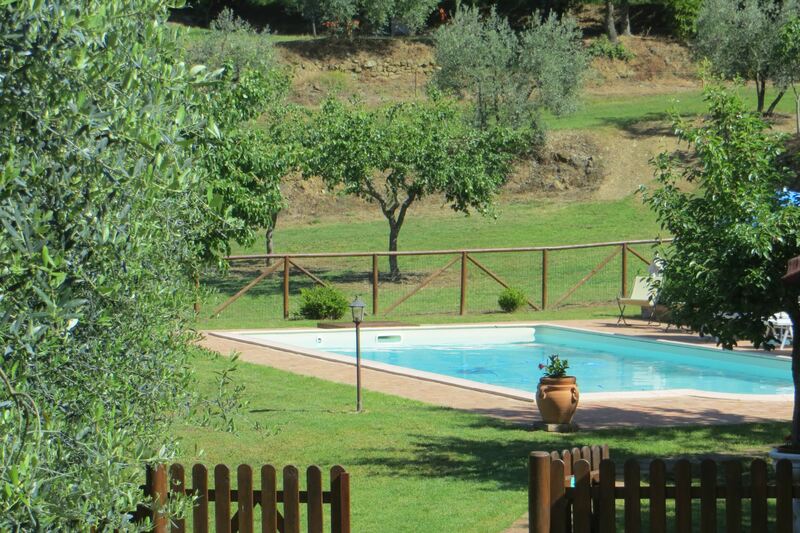 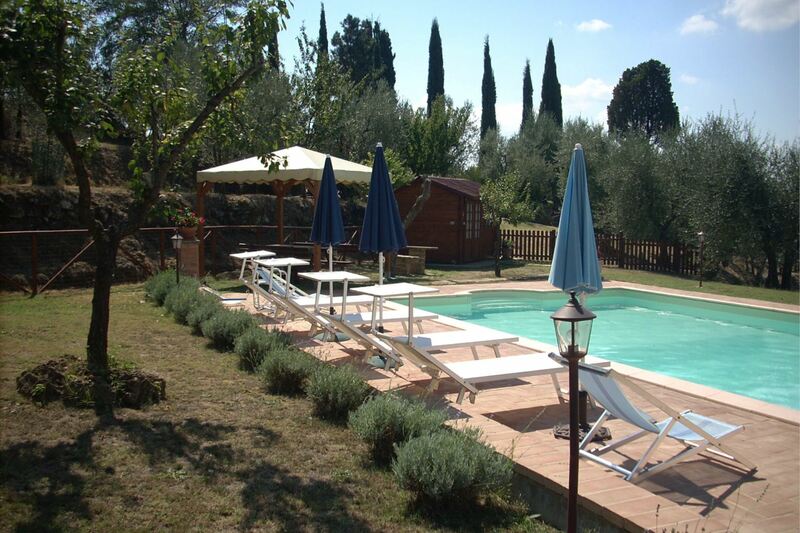 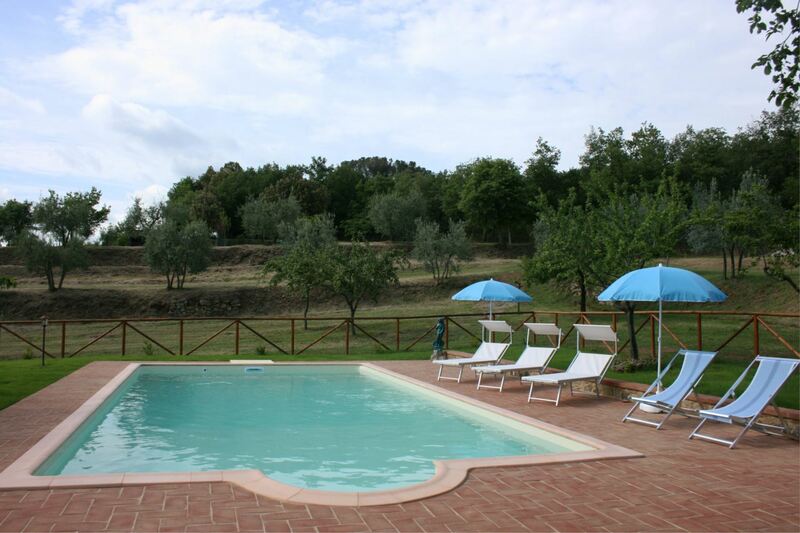 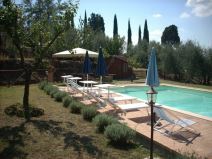 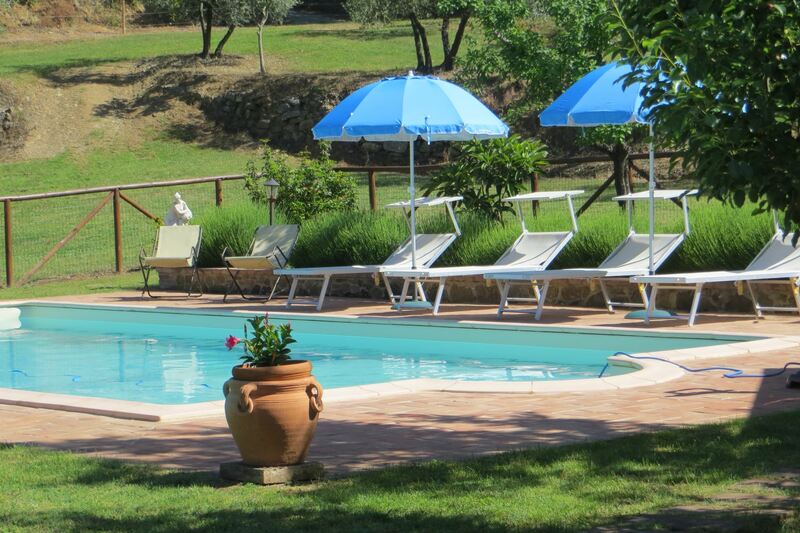 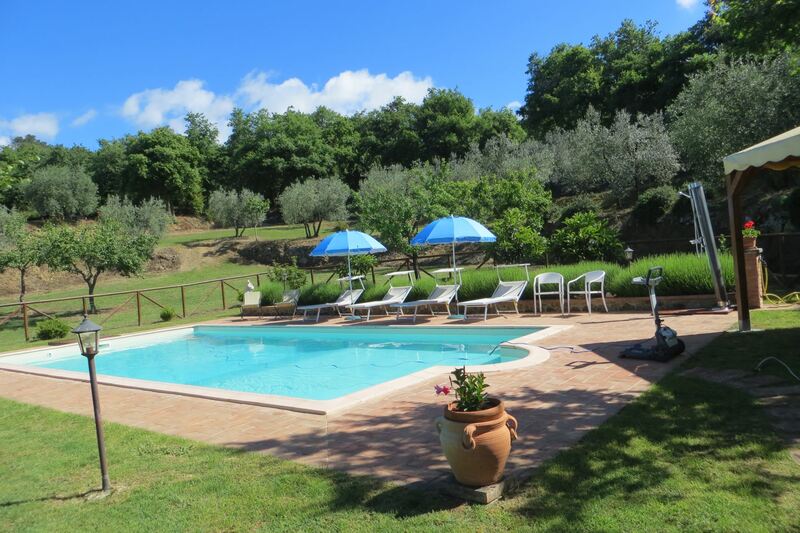 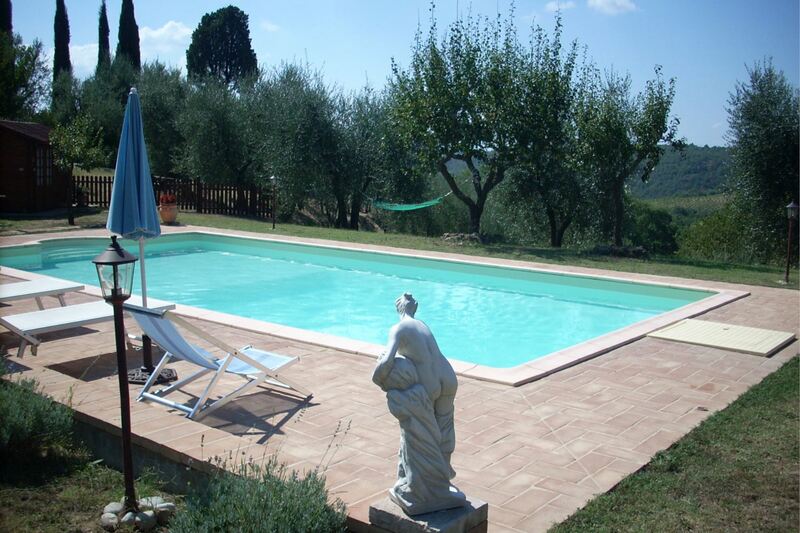 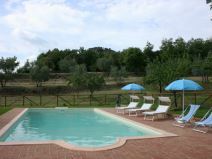 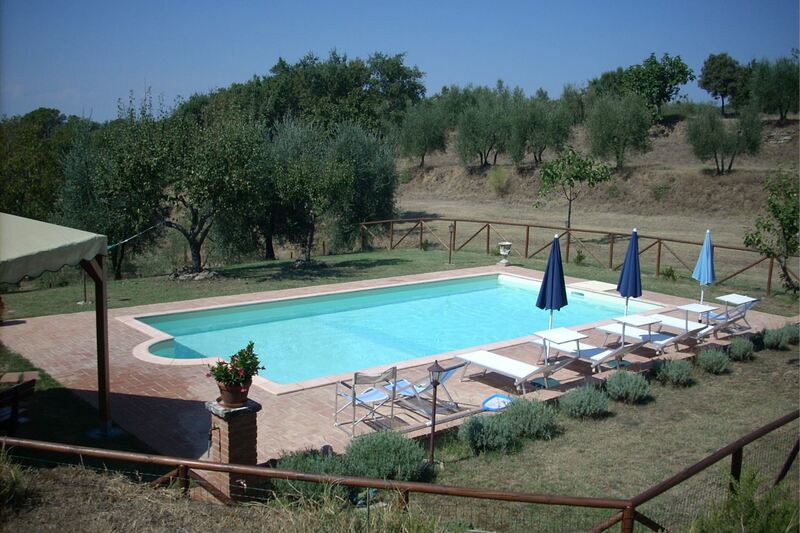 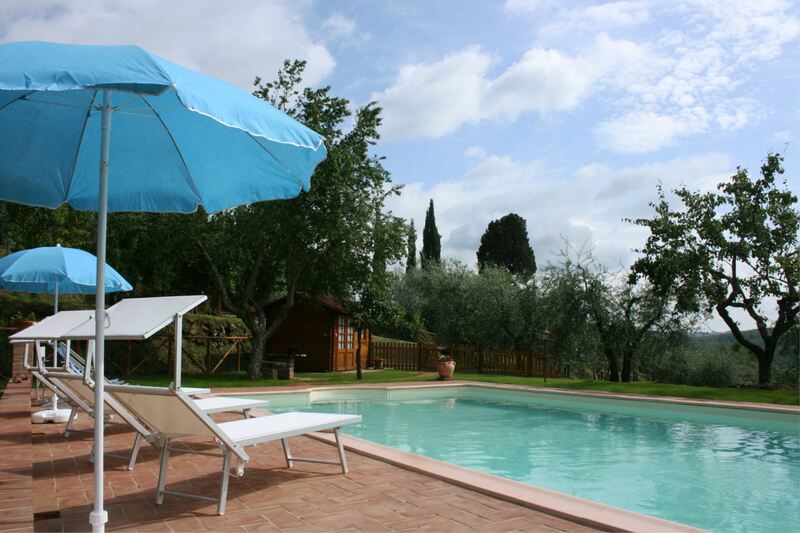 A few steps from the house among silver olive trees, the completely fenced pool (size m. 5x10 - depth m. 1,10-1,50) available for the exclusive use of the guests. 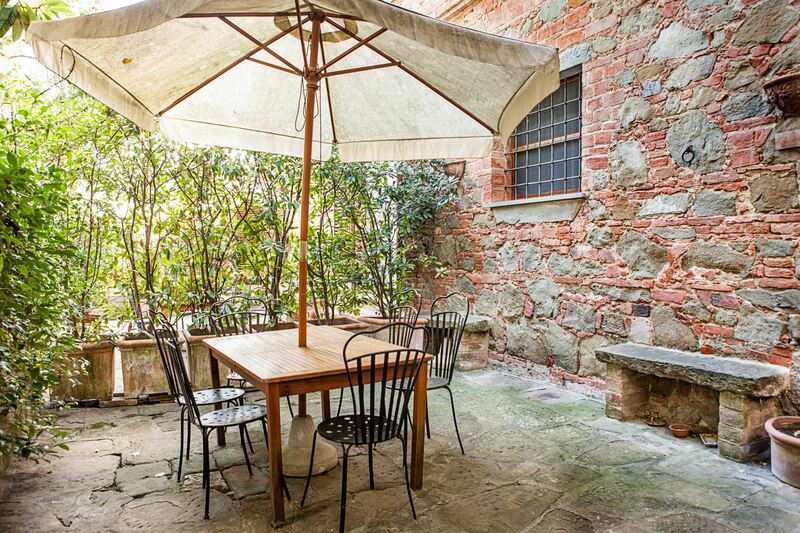 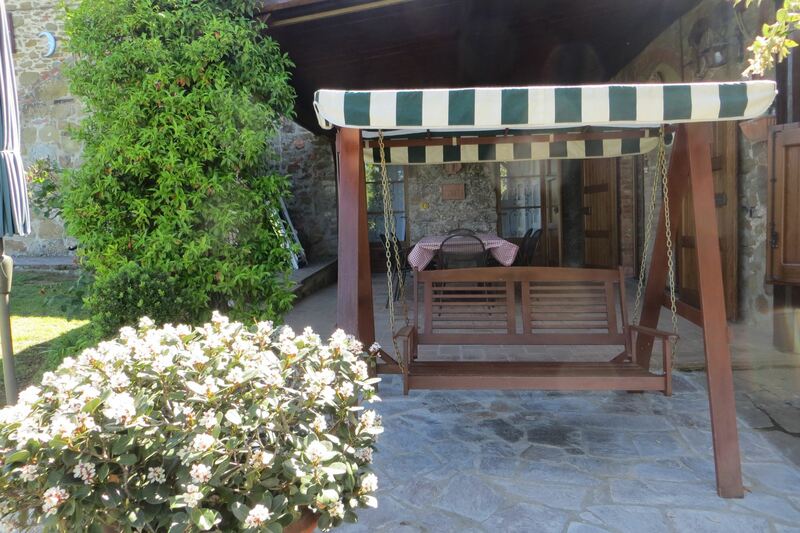 In front of the house there is a large courtyard equipped with table, chairs, sun beds, table tennis, barbecue, two bicycles and shadowed car spot. 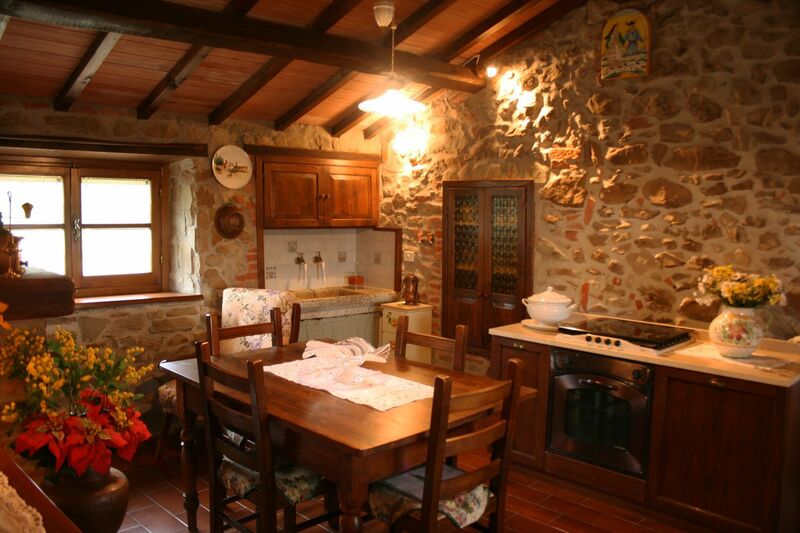 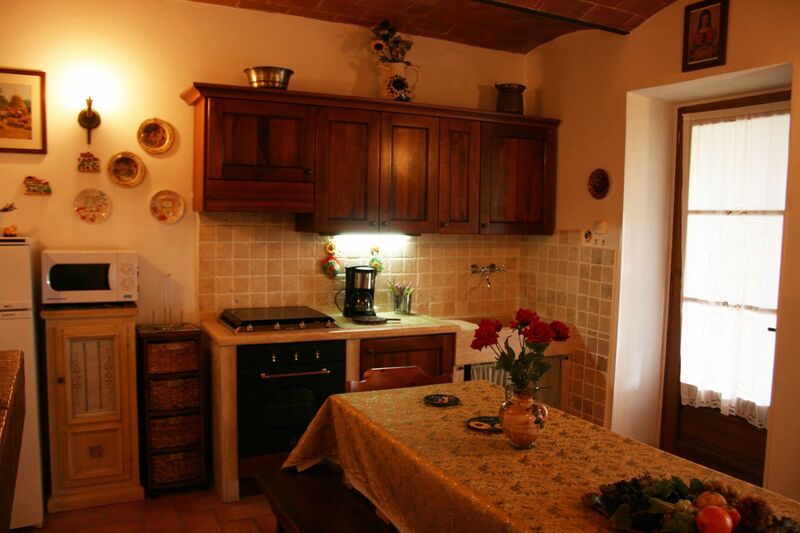 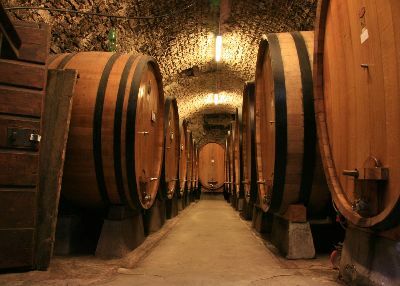 Well furnished and equipped, possibility to taste owners own products. 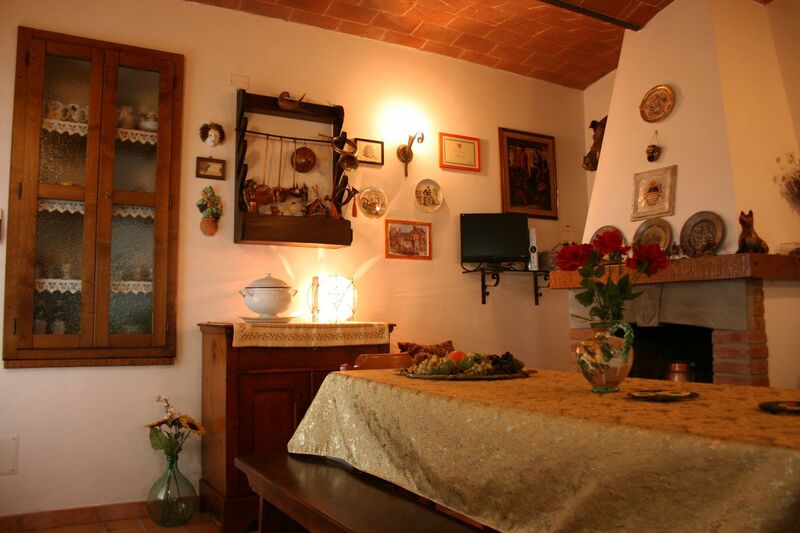 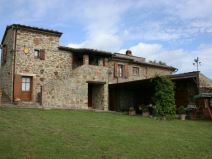 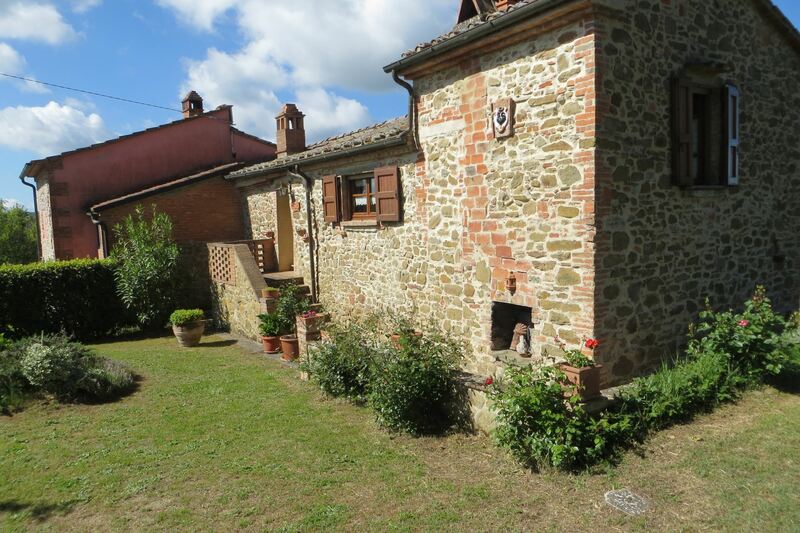 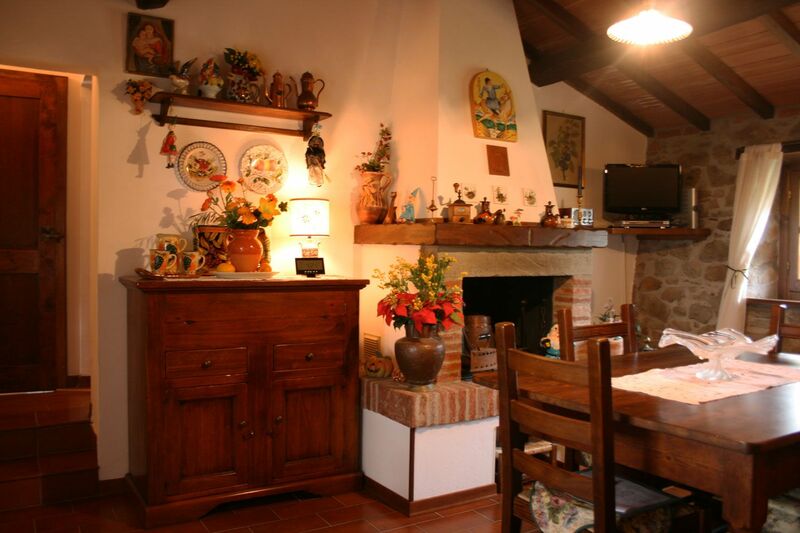 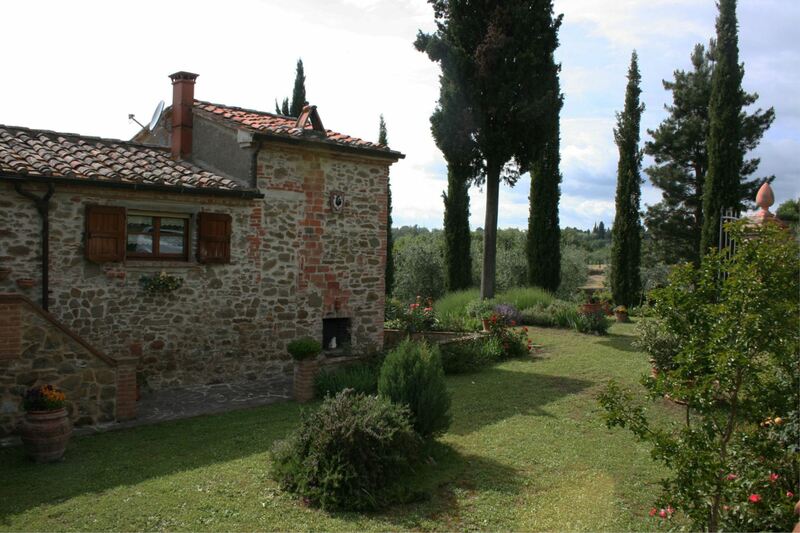 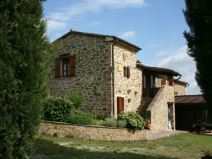 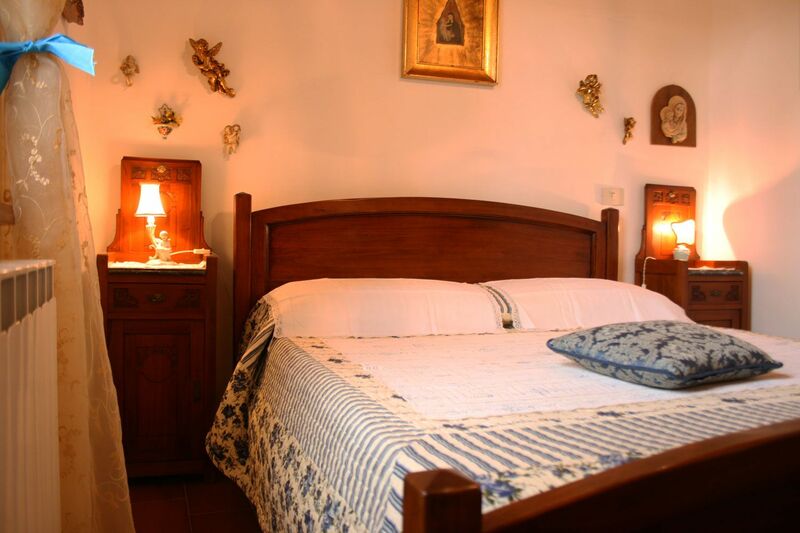 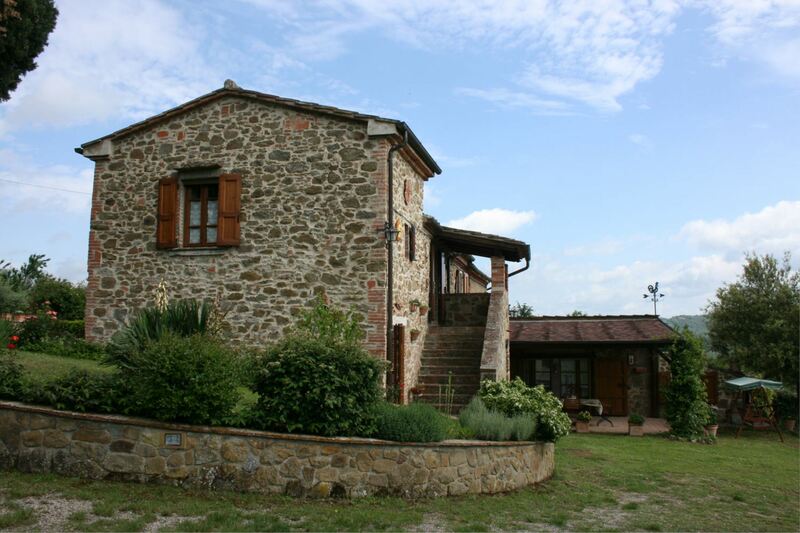 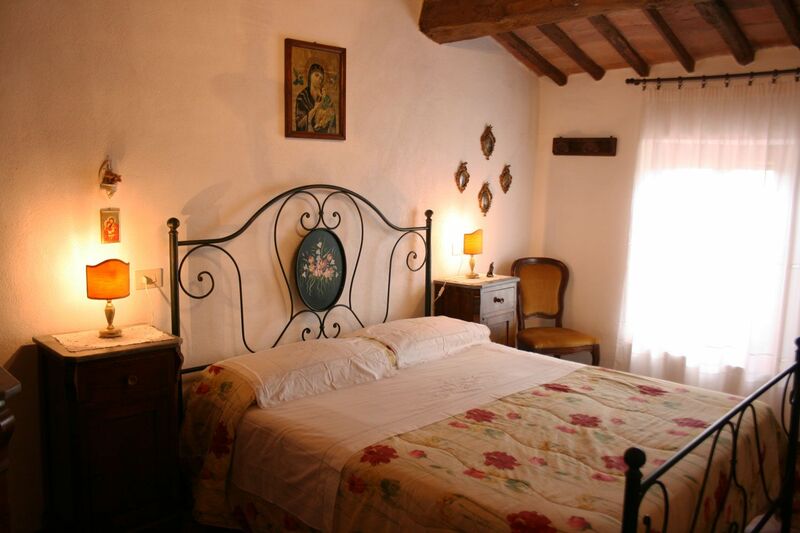 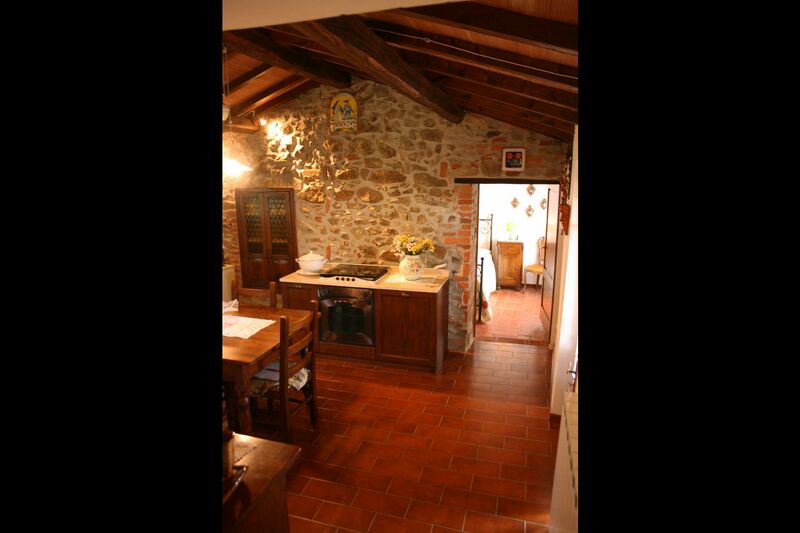 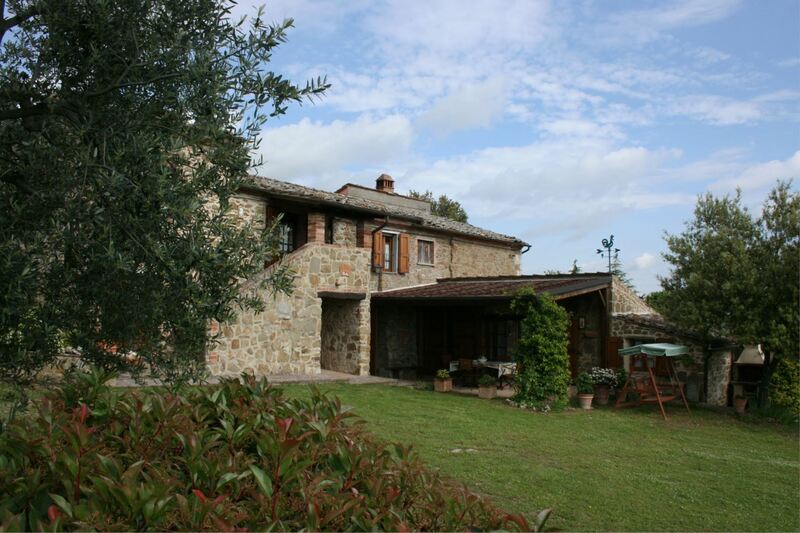 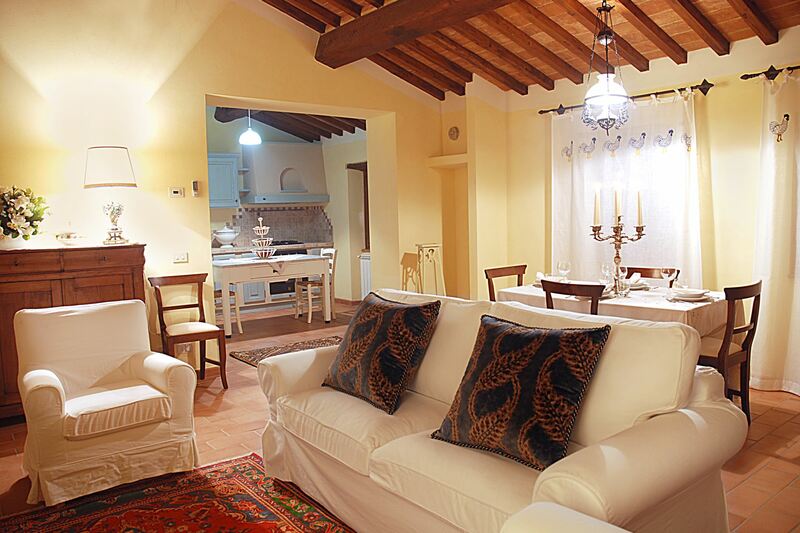 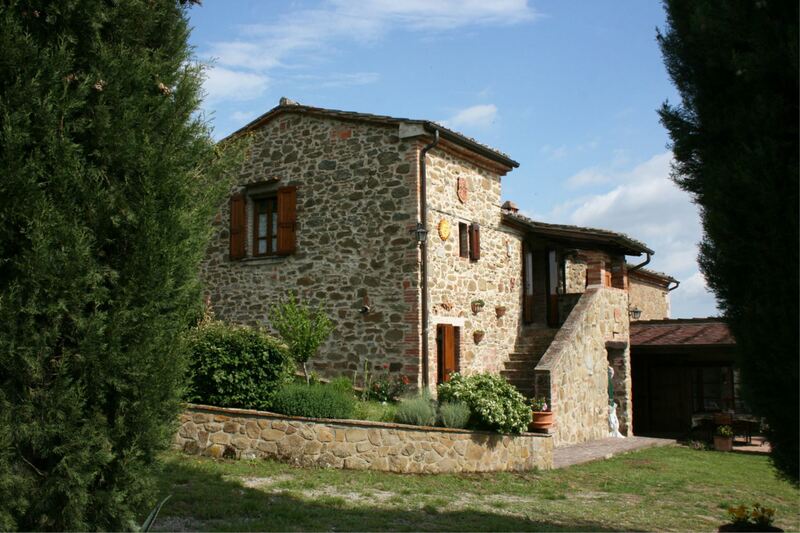 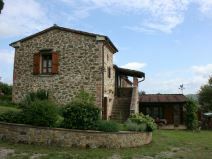 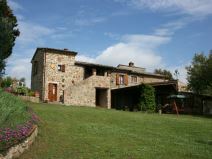 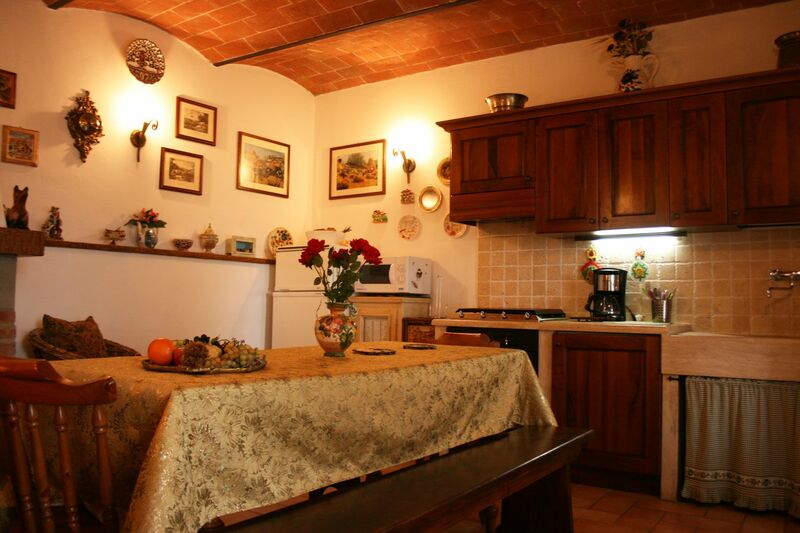 The well cured furnishing and the many facilities (satellite TV, dish-washer, oven, microwave, toaster, mixer, mosquito nets, DVD player, hi-fi with CD player, filter coffee maker, iron and ironing board, hair dryer, washing machine) make the house an ideal place for a comfortable vacation in Tuscany. 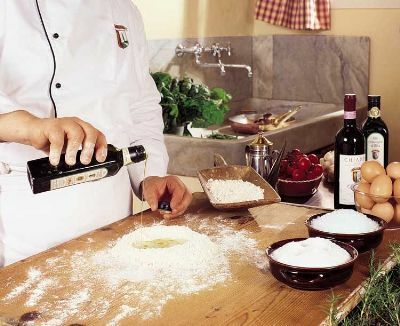 Possibility to taste and buy extra virgin olive oil own product of the owners. 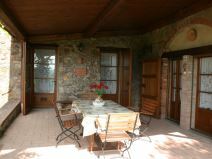 GROUND FLOOR: Kitchen-dining room with fireplace facing the porch equipped with table and chairs. From the courtyard, partly covered by a porch, going down a few steps one get access to a twin bedroom with bathroom with shower, study with sofa. 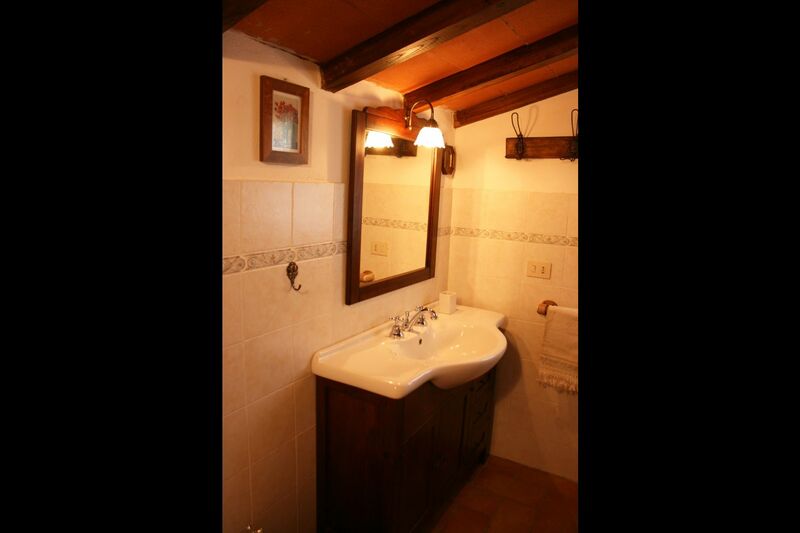 Laundry room with shower. 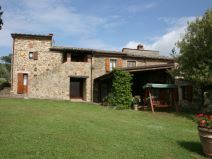 FIRST FLOOR: access via external staircase with typical loggia, sitting-dining room with fireplace and kitchenette, two double bedrooms one of which is also accessible from outside, small bathroom with shower. 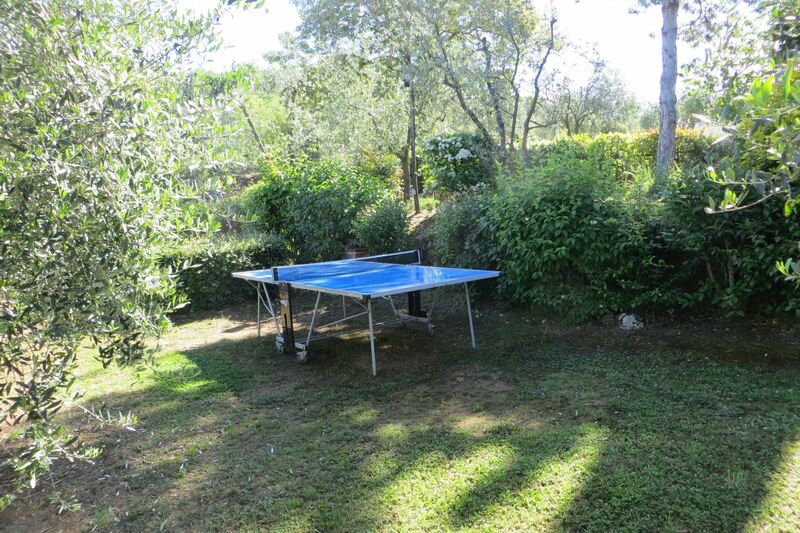 EQUIPMENT: freezer, Satellite TV (2), oven (2), dish-washer, fly screens, DVD player, CD player, filter coffee maker, iron and iron board, hairdryer, barbecue, washing machine, microwave, mixer, toaster, table tennis, shaded car spot, Wi-Fi Internet access, high chair. 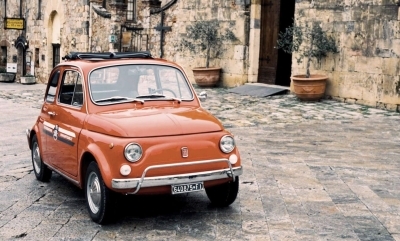 Obligatory final cleaning Euro 110. 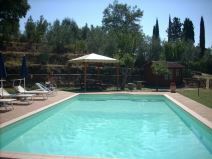 Small size pets are welcome on payment of Euro 50 per week (max.1) .